A few weeks back, a good buddy of mine (Jeff from This Day in Pixar) was lucky enough to visit Pixar Studios in Emeryville, CA. 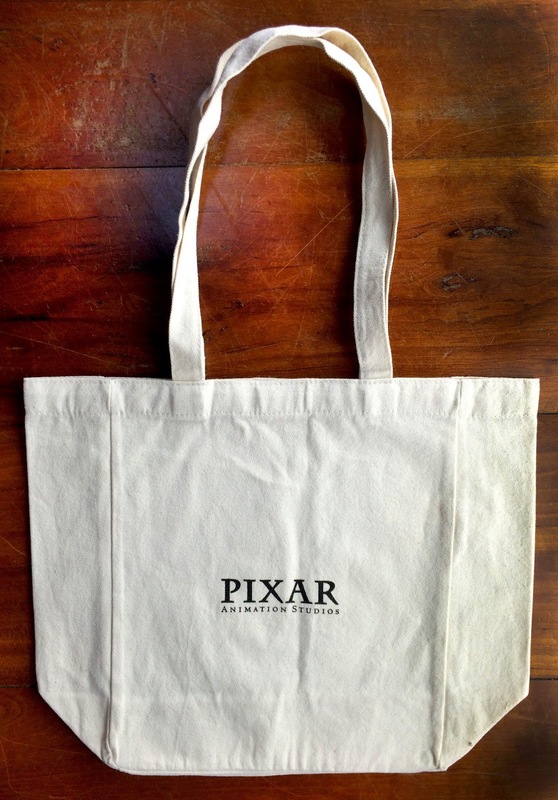 During his trip, he of course had to stop in the famed Pixar Studio Store- a small giftshop full of exclusive merch only open to Pixar employees and those who are invited in. It's always been a dream of mine to go there! 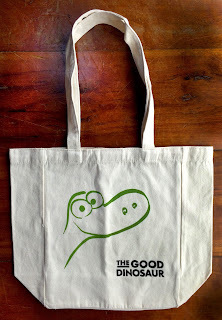 Anyway, while he was there, he was nice enough to pick me up this very cool exclusive The Good Dinosaur cloth bag/tote, featuring the film's logo and a very minimal (and adorable) Arlo design. I love this! It measures 15.5" wide and 12.5" tall, is made of a quality, rustic fabric and sells for $10 there at the store. 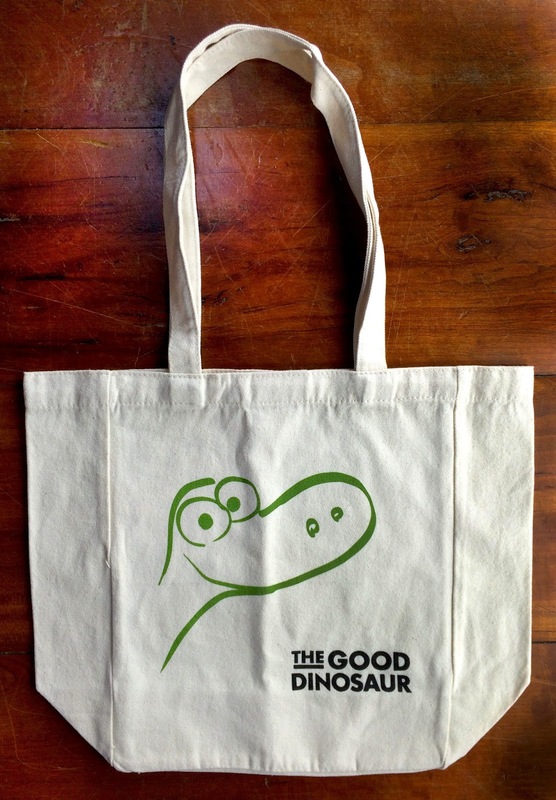 This will definitely be a prized piece in my collection of Good Dino merch. A huge thanks to Jeff for grabbing this for me! It was super thoughtful of him. Be sure to check out his awesome site, dedicated to Pixar and its history, HERE.